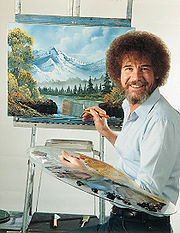 Bob Norman Ross was an American painter and television host. With his calm, patient nature, Ross came to prominence as the creator and host of The Joy of Painting, a long-running television program on public broadcast stations in the United States. Ross died of lymphoma at the age of 52.